This is my kind of spring morning. Damp, cool and not too muddy…yet! So if you can sneak in some time to do a little planting or dividing, why not utilize these perfect weather days that may seem drag-out dreary but are primo for plants. Still not convinced to get outdoors on a damp Wednesday or maybe there’s only enough time to squeeze in a quick trip to the nurseries on your way home from work? 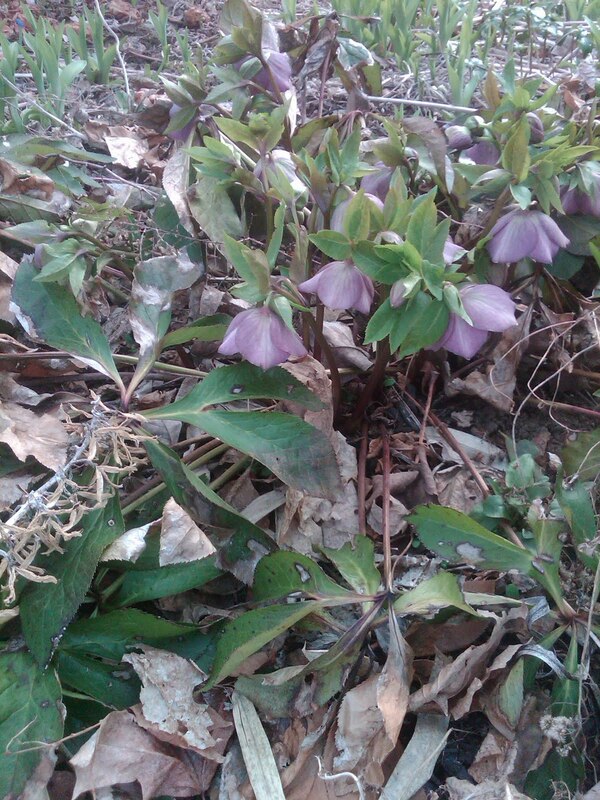 This is when you find Hellebores for sale because its flower is in bloom. So don’t make Wednesday’s wordless. 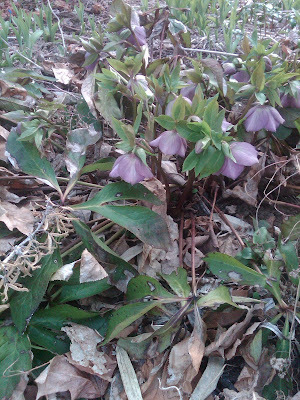 Start talking Hellebores. And if you need a little chuckle in your Wednesday, think about Ralph Waldo Emerson’s infamous quote. “Earth laughs in flowers.” What a pleasant way to view spring as the blossoms unfold in our garden. P.S. There is no such thing as a wordless Wednesday in an Italian’s life.